Can only buy one(for now), What game should I buy? Sell me on which is the best game to buy. Suggestions not below are welcome. Edit: Can only buy one right now, in a month or maybe less I will be able to buy other games, or expansions. Edit 2: Will be buying the game on Monday. Whichever game was given the strongest recommendations will be the FIRST game I purchase. Please, Feel Free To Add To This List! Mage Knight Board Game -Tied between this and Dominion for my next purchase. 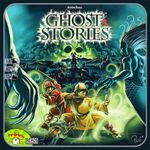 Ghost Stories -Think that difficulty will turn me away from it. Maybe for a later purchase. 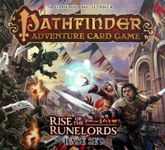 Pathfinder Adventure Card Game: Rise of the Runelords – Base Set -Will be bought after Mage Knight/Dominion. 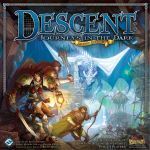 Descent: Journeys in the Dark (Second Edition) -Just did not make the cut. 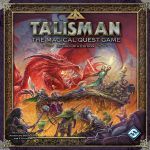 Talisman (Revised 4th Edition) -Have Decided against this one, its a great game but there are better options for this purchase. 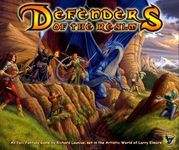 Defenders of the Realm -Too close to tower defense. 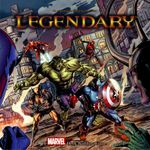 UPDATE: I decided to go with Legendary: A Marvel Deck Building Game. Thanks to everyone for your awesome suggestions and reviews. 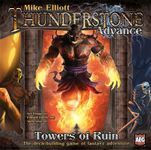 I plan on purchasing Thunderstone Advance: Towers of Ruin next. Really looking at this one. I loved Sentinels and turned this game down to buy it. I am thinking of going back and buying this now. After doing a bit more research, it seems that Legendary is quite a bit different than Sentinels than I originally thought. Also big plus it isn't like ThunderStone or other deck building games that have tons of expansions and still plan to release a ton more. 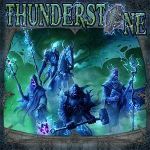 Of what you have listed, I would put my vote to Thunderstone but note that you ought to skip right to Thunderstone Advanced. That being said, if solo is important to you, let me suggest this game. I have only recently started to play this game but I like that you can play either a single mission or a campaign. Further, since you choose your character and level that character up the replay value of Pathfinder is quite high. Now, they do plan expansions, but they have also thought of this as well and the main box has spots specifically designed to hold the expansions when they come out. Definitely worth your time to check out I think. Hope this helps. 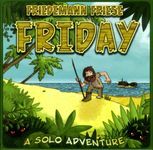 Cheap little card game, built for solo, designed by Friedemann Friese, desert island themed. I'm in a similar situation to you - don't get to game with others often - and I've spent *so* much money on games that have solo modes, but either don't play that well solo, or take so long to set up that I can't be bothered. I end up pulling this out more than the others combined. Do yourself a favor and pick up this little gem sometime - it's well worth the $12-14 or so from the preferences you describe. Allow me to add this suggestion to your list. Elder Sign has a Lovecraftian background story (at least not SF ). 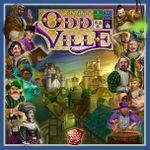 It is highly portable (basically cards of different sizes, a cardboard clock, markers for stats, characters, and monsters, and a few special dice) and is a true co-op game. I am playing it solo only and it plays very good in solo mode. It has a lot of consistent flavor in the material and thus makes imagining the events easy/clear. Learning the game is relatively easy. Compared to Ghost Stories and Mage Knight, it is a relatively easy/light game. I have almost decided I wont buy this one. It is a classic, but other games have learned to do better with what it provided. I am not hating on it I have played it and love it, but I think there are better options. Not to mess with your list, but you may not be aware of this game, and it meets many of your requirements better than any game listed. Really, this should be in every gamer's collection. It's between printings, making it hard to find, but this should clear up within a month. UPDATE: It's available again. Saw copies today. 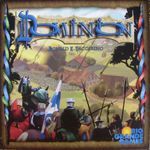 I have looked at this game, meets all of the criteria (portable/card game, fantasy based, solo variant or multiplayer), except replay-ability. Seems it is mission based so once you beat the game, you really cant do much else but play through the same thing again in a different order of locations. 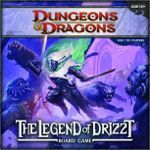 If it had a quest system like Pathfinder Adventure Card Game: Rise of the Runelords – Base Set, I think this would be really awesome. Simple to learn and play, a few rules only and it's very enjoyable as a (almost only) card game. Quiet good to play with 2, 3 or 4 players. Not playable solo though, sorry. And it's not expensive too. Buy yourself iPad and enjoy gazzilion games solo or via net. Why to suffer? anyone of the 3 in this series. You don't need all of them. each can stand on their own. This one seems to be the highest rated and most accessible of the 3 though. And if you did want to get the others they can all be mixed together! They are compatible with eachother.